Where do I get forms to file for a divorce? The district court office does not supply divorce forms. There are approved forms available on-line. Click on the "Court Forms" section of this website or the green "Self Help Resources" button on the home page. You may want to check with the district court office in the county where you are going to file your divorce. They will be glad to give you what assistance they legally can. The proper paper work must be filed with the court and a $195.00 filing fee paid at the time of the filing of the divorce. If both parties are in agreement on all the issues involved and have waived the statutory waiting periods, some judges in this district will go ahead a grant a divorce. If the parties are not in agreement, the respondent (the party not filing) must be served with notification that a divorce has been filed. The respondent is given an opportunity to respond to the papers filed. If there are contested issues within the divorce, a hearing before a judge will need to be held to make a determination concerning the contested issues. Before you can get a Protection from Abuse Order, you and the person you want to have restrained must: Be residing together, or have formerly resided together, or be the parent of or living with a minor child who has suffered abuse by the party you are attempting to restrain. Abuse must have occurred. This means one of the following has occurred: The person has willfully attempted to cause you or a child bodily injury, or willfully or wantonly caused bodily injury, or the person has willfully placed, by physical threat, you or a child, in fear of imminent bodily injury, or the person has engaged in any sexual conduct with a child under 16 years of age. any retired judge or justice of a court of record. The two parties themselves, by mutual declarations that they take each other as husband and wife, in accordance with the customs, rules and regulations of any religious society, denomination or sect to which either of the parties belong, may be married without an authorized officiating person. Why doesn't the court enforce the payment of child support since they are the ones that order it to be paid? Judges do not enter orders in cases unless there has been a motion filed to issue an order. The courts do not have the staff nor the resources to enforce the large number of child support orders that are issued. Who can we contact to find out how to fill out the garnishment papers for wage withholding? Any attorney or accounting firm can help you with completing the garnishment papers. Supreme Court Rule 119 allows for fax filing of cases by an attorney. Application for a marriage license must be made by at least one of the parties at the office of the district court. Both parties must be of 18 years of age, otherwise parental or guardian consent is required. There are no blood tests required. The information required to make application is names and city of residence of the parties, birth dates and social security numbers of the parties. The applicant(s) must swear under oath that the facts stated within the application are true. The party making application is given an information sheet to complete and bring back when they pick up the license. This information is used to complete the application. There is a three (3) day waiting period before the license can be issued. (For example, a marriage license applied for on Monday could be picked up on Thursday or anytime after Thursday.) The marriage license costs $85.50 and must be paid in cash, we cannot accept a personal check for a marriage license. When the license is issued, it will contain an expiration date which is six (6) months from the date of the issuance of the license. After the marriage license is completed, the license is returned to the district court by the person performing the ceremony and the original license is mailed, by the district court, to the Bureau of Vital Statistics in Topeka. Do you have to have a blood test to get a marriage license? There are no blood tests required in the State of Kansas to obtain a marriage license. After the marriage ceremony, the ORIGINAL LICENSE is returned to the Court for recording and then forwarded to the Department of Vital Statistics in Topeka, Kansas, where it is kept on permanent file. A DUPLICATE copy will be provided to you by the Clerk’s office. An individual has a right to represent themselves. 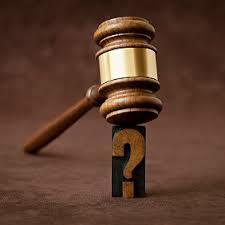 The court staff nor the judge are allowed by law to give you legal advice. Please check our "Self Help Resources" section on the front web page for more information. An attorney can assist you or you can contact your local Department of Children and Families office and they will direct you to their child support enforcement agency.